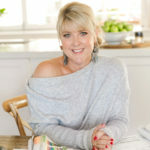 Naomi sat down with Jen Bishop, from Australia's leading interiors blog Interiors Addict, to find out the hottest trends in living spaces this year! There is no debate that art makes a huge difference to living spaces! The Reno Show's resident chippy, Rowan Howard, shared his top tips to hang your art with ease. What type of couch is right for you? Jen and Naomi discussed all of the features of the perfect couch! Need some help with your styling? Naomi shared how to style with vignettes in your living room!